Welcome to the Career Development Center at Alfred University. We are located in the historic Steinheim Castle, situated on a picturesque hillside on Alfred University's beautiful valley campus. Our mission and values honor Abigail Allen, friend and mentor to generations of students, strong supporter of co-education and wife of Alfred University’s second president. Please explore the many services we provide students, alumni, parents, faculty and employers. Why Work With The CDC? The Career Development Center provides you a warm, supportive atmosphere where your future goals are our number one priority. Whether you're ready to start your job search now, or not quite sure where to go from here, we can help. Employers say our students are experienced, well-rounded, and knowledgeable about their field. Forward thinkers. Problem solvers. An AU education gives them a foundation for success and YOU the perfect job candidate. The Career Development Center staff is incredibly knowledgeable, friendly, and supportive. By working with us, you will benefit from our many years of forging strong, personal relationships with leaders from myriad industries. The staff of the Career Development Center would like to express our gratitude to these and all employers that have joined us in our pursuit of providing the highest level of support to students entering the work force following graduation from Alfred University. Without them, the CDC would not be able to achieve our Mission. If you've been asking yourself, "What do I want to do with my life?" or "What can I do with my major?" you've come to the right place. We'll help you address these and the many other questions students have about their future while attending college. Many employers say Alfred students are well rounded individuals, experienced and knowledgeable about their field. They are forward thinkers and problem solvers. An Alfred University education gives them a foundation for success and you the perfect job candidate. Transform a good education into an extraordinary education! Juniors and Seniors can apply for funding to engage in work experience and study/research opportunities to enhance their career decision-making, increase their opportunities after graduation and inspire them to find their passions in life. Learn more about APEX. To learn more about student outcomes, employment, and continuing education statistics following graduation from Alfred University, please visit our Destinations page. We provide a wide variety of services and programs to help students find their professional purpose and meaningful work. Parents and families can assist us with this goal through strategic networking, mentoring, and more. Supporting and empowering students by offering them a closet stocked full of business attire for use on interviews and other engagements free of charge. 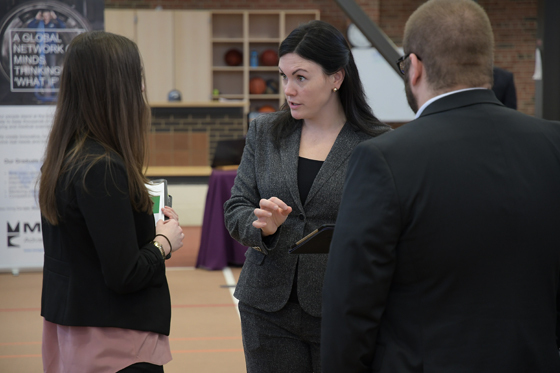 The Career Development Center regularly partners with members of the Alfred University Alumni Community to provide our students career insights post-graduation. Take a look at some of the upcoming event sponsored or co-hosted by the McComsey Career Development Center. 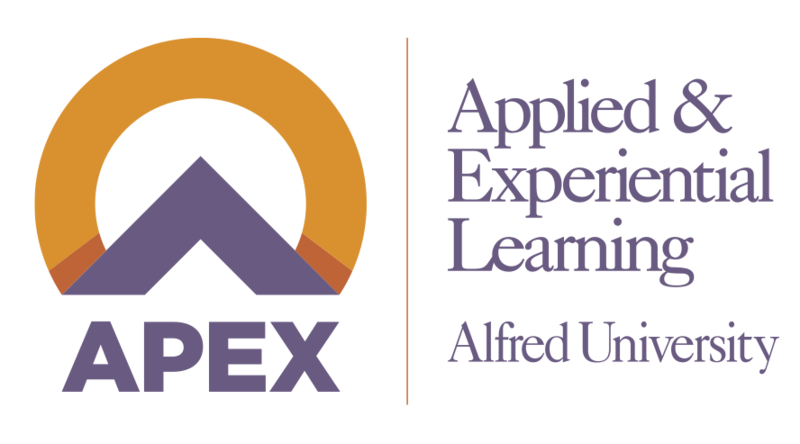 The Alfred University Career Development Center empowers students and alumni to find their professional purpose and meaningful work through informed decision-making, practical experience, and connection to the global community. We express our core value of professionalism through expertise, responsibility, empathy, and balance. Expertise encompasses our knowledge, skills and resources; expertise promotes positive connections with our stakeholders. Responsibility is reflected in our high level of dependability, integrity, and ethics; responsibility ensures the reliable delivery of services. Empathy is demonstrated through our approachability, attentiveness, and availability; empathy allows for individualized service to our diverse population. Balance is expressed in both our work and personal lives; balance supports our students and alumni to find fulfillment in their chosen paths. Schedule and appointment through Handshake or reach out to one of our staff members directly.